Benefits of Regular Check-Ups for Your Pet | Babcock Hills Veterinary Hospital, P.C. Is your pet healthy? How can you be sure? According to the American Veterinary Medical Association, all pets should receive a physical medical examination at least once a year. This includes indoor pets. Beyond flea treatments and vaccinations, your pet needs regular visits to the veterinarian to keep them at their best. You can’t always tell how your pet feels by looking at them. While they may not show outward signs of disease or injury, problems could be developing that can only be detected by a trained professional. Things like lethargy, loss of interest in certain activities, and changes in behavior can mask illness or infection. How often do you check your pet’s teeth? Tooth decay can cause your pet to lose weight, eat poorly, or act out in other ways. If untreated, their health can be threatened. Animals with active outdoor lives need to have their skin checked regularly for signs of bites and infestations. Your vet will know which marks to be concerned about, and can order blood tests to confirm possible infection or disease. Some internal illnesses won’t show outward signs until it’s too late. Yearly check-ups allow you to track your pet’s vital signs, so any problems can be treated before they get out of control. Common chronic issues like diabetes and arthritis can be managed better when diagnosed early. Regular vet visits mean earlier detection, which will lengthen your pet’s healthy years. Don’t rely on your eyes to keep your pet healthy. Your vet has the tools and training needed to assess and identify your pet’s true state. 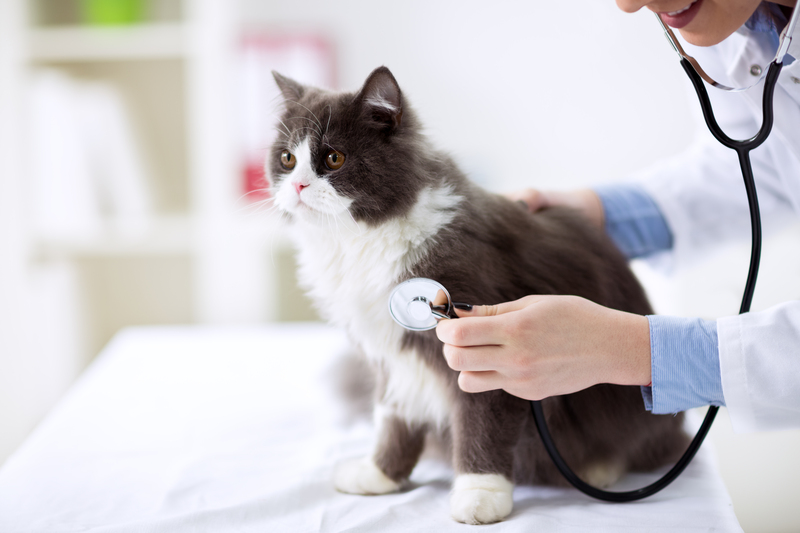 Regular health check-ups benefit pets of all ages. But as our furry friends get older, regular visits help them enjoy their senior years more. Signs of disease can mimic the effects of aging. What you think is normal behavior for a senior citizen cat or dog might be hiding a developing kidney disease or other internal problem. Mental health also degrades as your pet ages. Pets can suffer from depression, anxiety, and dementia too. Your vet will be able to evaluate your pet’s mental needs and help you find ways to increase their happiness and comfort. Your pet’s sensitivities to things in their environment can change as they age. Older pets can develop allergies that can cause problems with their skin, breathing, and kidney functions. Only a veterinarian can confirm allergic reactions. What does a veterinarian check during an annual examination? With your help, your doctor will review your pet’s health history. They will note any medications they take regularly and check the status of any known conditions. Vital signs like weight and heart rate will be monitored and recorded. The vet will check your pet’s entire body closely for signs of illness or injury. This includes eyes, ears, nose, teeth, and skin. If there is reason for concern, lab tests may be ordered. Your vaccinations and flea treatment schedule will be reviewed. Don’t take unnecessary chances with your pet’s health. Schedule a check-up with the veterinarians at Babcock Hills Veterinarian Hospital in the San Antonio, TX area.